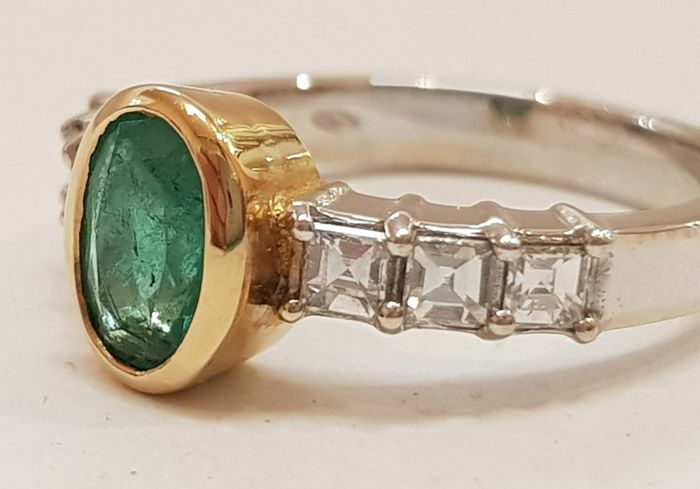 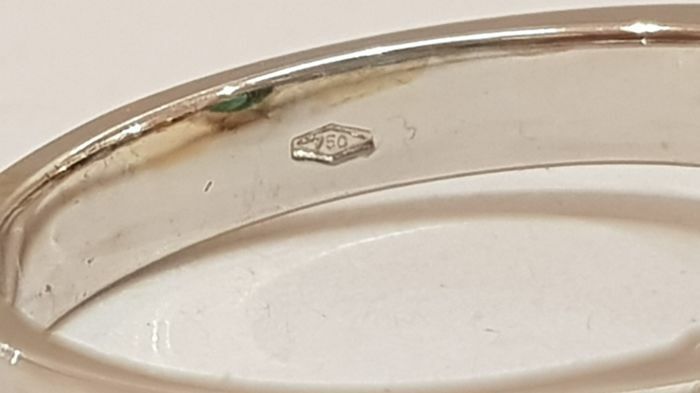 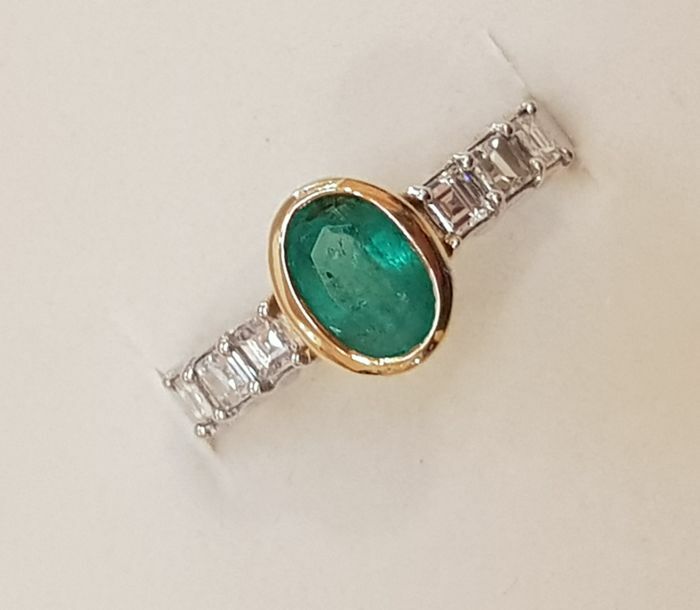 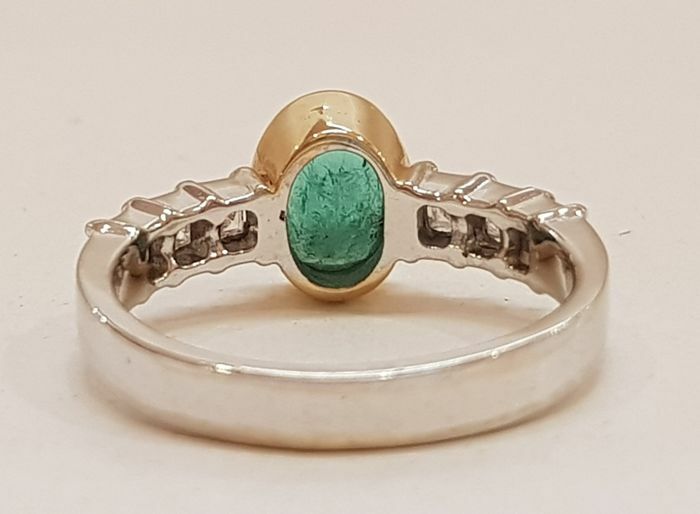 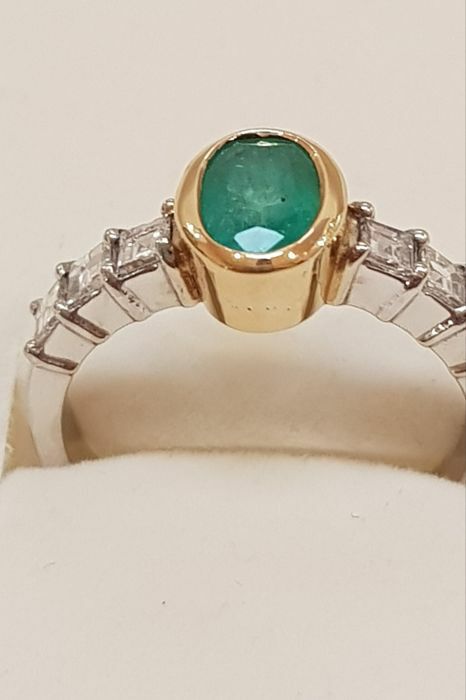 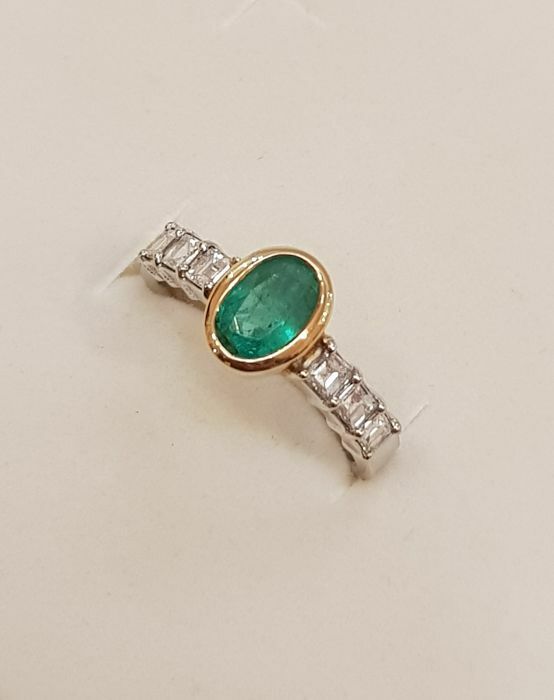 18 kt white gold ring, weight of 5.40 g.
Featuring a central natural emerald, intense green colour, oval cut, of 1.22 ct, and 6 princess cut diamonds, colour G/VVS totalling 0.72 ct.
Classic elegant item of jewellery, skilfully crafted, very robust and solid, perfect for both everyday use and special occasions. 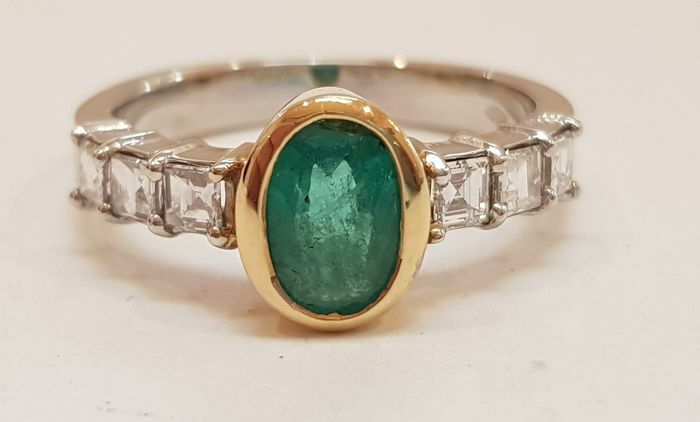 Suitable for ladies of any age. 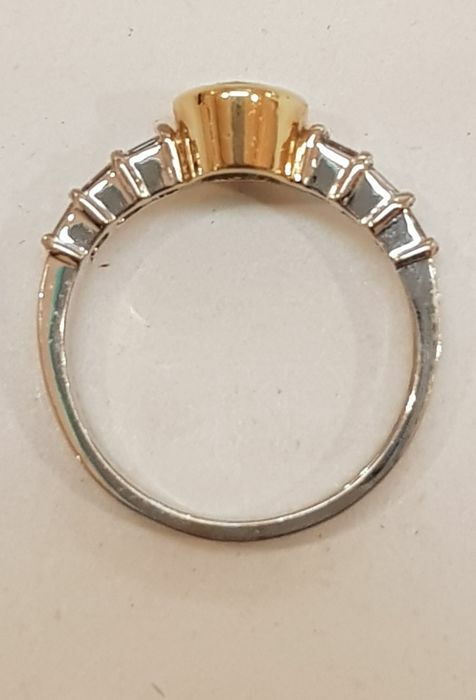 Pearls totally natural and of very high quality. 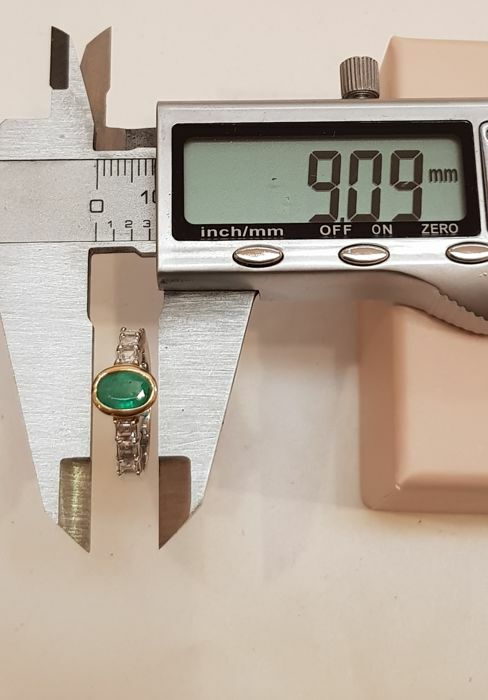 Italian size 17 (it can easily be resized). 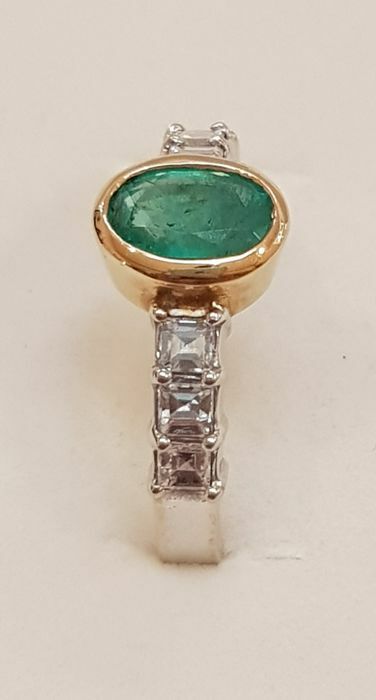 Shipped in an elegant leather box with certificate of authenticity.